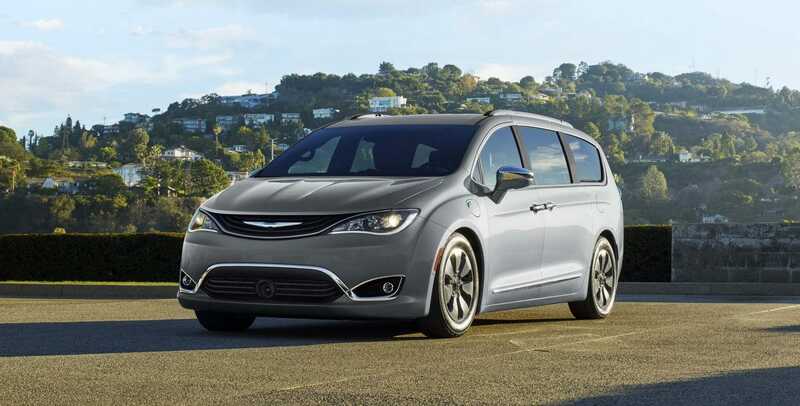 With safety as a number one priority in this top-level family vehicle, the SafetyTec Group package is now standard with all 2018 Chrysler Pacifica models. Additionally, Apple CarPlay and Android Auto have also been made standard. Certain trims have also gained their own new standard items. The Touring Plus is now standard with a security alarm and remote start on top of all the features it had already offered and the Touring L now has a power passenger seat, perforated leather seats, and a new Premium Group with Alpine 12-speaker audio. Read on to find out more! 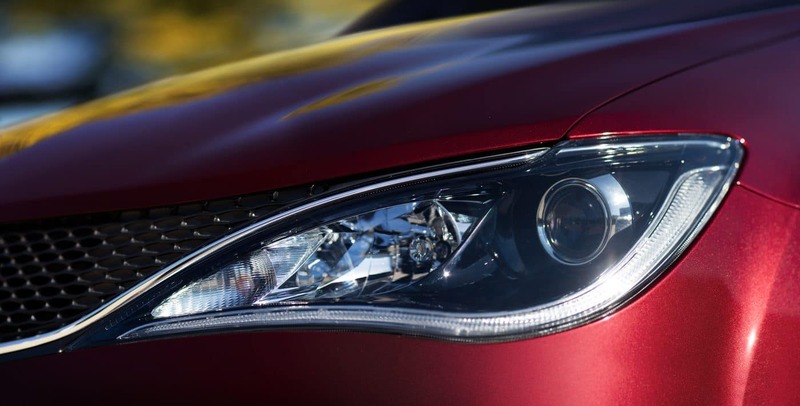 What safety features does the Pacifica offer? 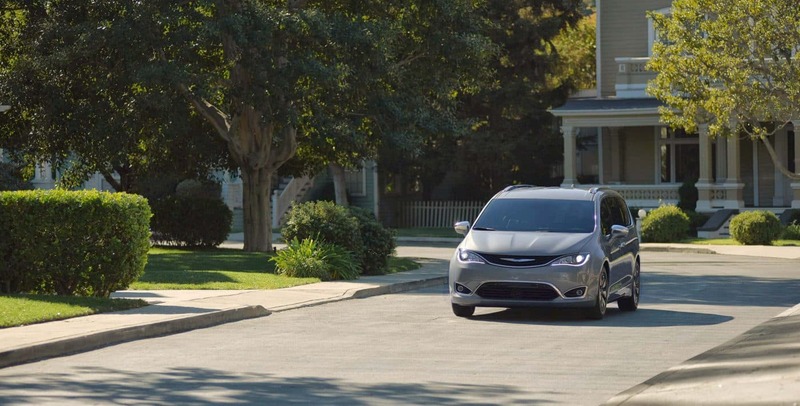 The 2018 Pacifica comes with many standard features and offers even more standalone options or upper trim features. Some of the standard safety features available for all trim levels include KeySense to promote safe driving with teens, a rearview camera, rear parking sensors, traction control, child door locks, traction control, rear cross-traffic alert, and blind-spot monitoring. A Uconnect system is also added with voice control to help keep focus on the road. 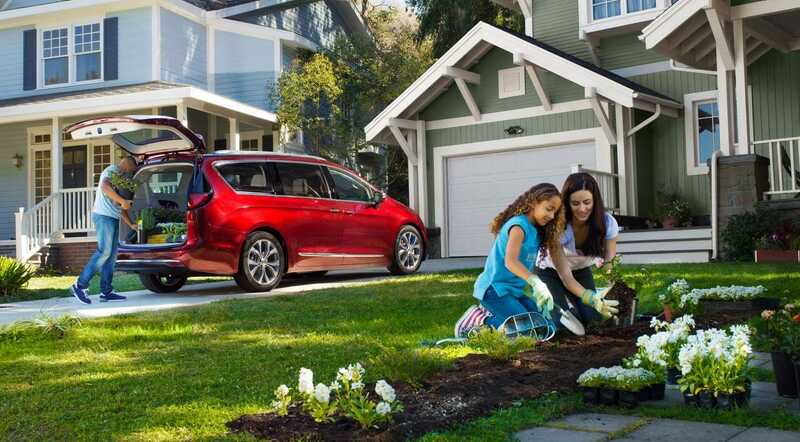 What is under the hood of the Pacifica? The Pacifica has two engine options. Both engines come with front-wheel drive. 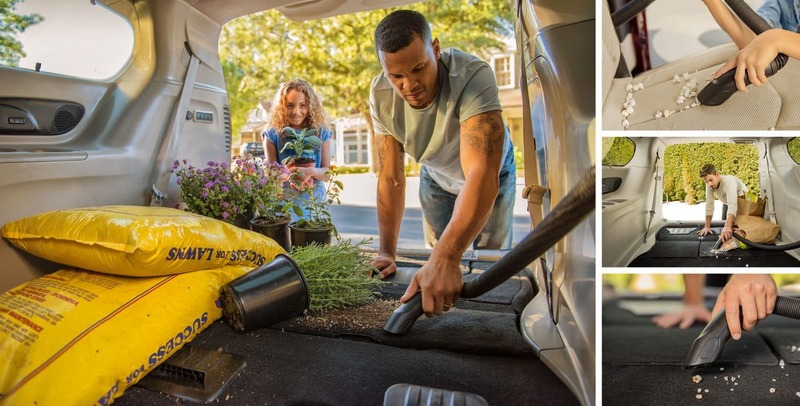 This minivan is one of the most powerful minivans money can buy with the standard transmission being a 3.6-liter V6 with a nine-speed automatic transmission. 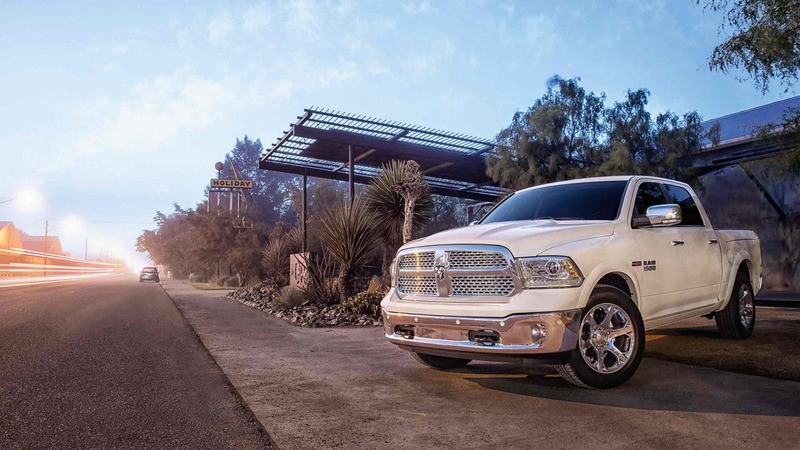 This powerful engine comes with 287 horsepower and 262 lb-ft of torque. The EPA gave it a fuel economy rating of 28 miles per gallon. The second engine is the same fuel-friendly Atkinson-cycle engine, but with two electric motors of 16kWh batteries that boast a 260 horsepower output with 84 MPGe and a battery-only range of 33 miles with a full charge. What are the various trim options? 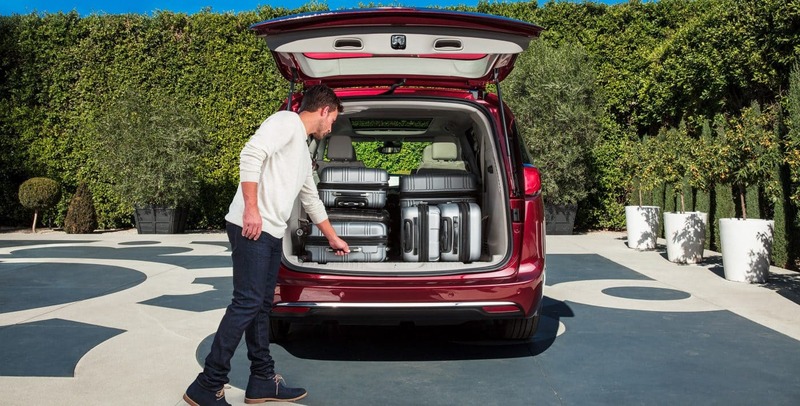 The six Pacifica trim levels are L, LX, Touring Plus, Touring L, Touring L PLus, and the Limited. The L trim starts off with a standard rear parking sensor, heated mirrors, keyless entry, a rearview camera, a 7-inch touchscreen, rear cross-traffic alert, blind-spot monitoring, Bluetooth, an auxiliary jack, and a six-speaker audio system. 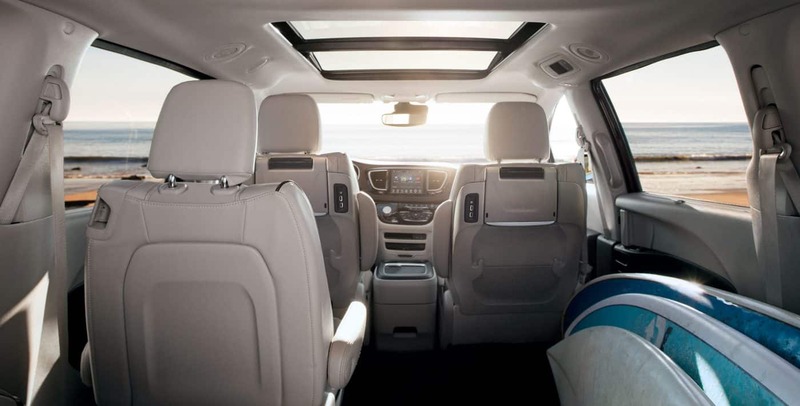 The LX adds tri-zone climate control, an automatic engine stop-start system, a driver information display, an eight-way power driver seat, and a stow ‘n go seat for the second-row. The Touring Plus come with additional automatic headlights, LED taillights, foglights, automatic climate control, full keyless entry, satellite radio, remote engine start, a charge-only USB port, and power-sliding rear doors. 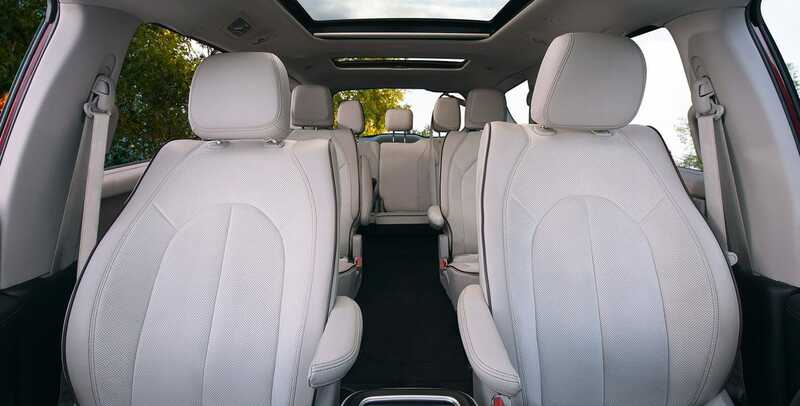 The Touring L comes with a second-row USB port, heated front seats, and leather upholstery. The Touring L Plus then includes heated second-row seats, navigation, two sunroofs, ambient lighting, and a heated steering wheel. At the top of it all the Limited then adds on ventilated front seats, an in-vehicle vacuum cleaner, LED foglights, xenon headlamps, premium leather upholstery, and the ability to upgrade the rear entertainment system. Are you looking for a great family vehicle with lots of space and powerful engine? 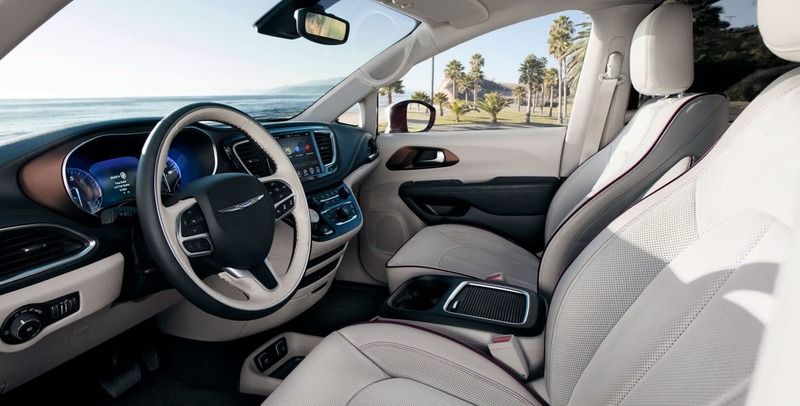 Look no further than the Chrysler Pacifica. 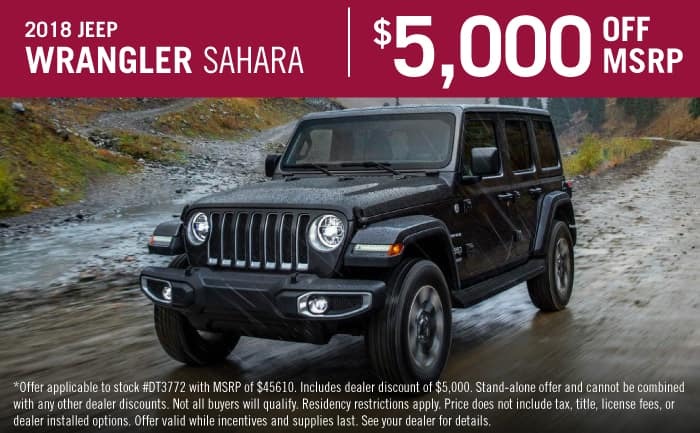 Come take a test drive with us!